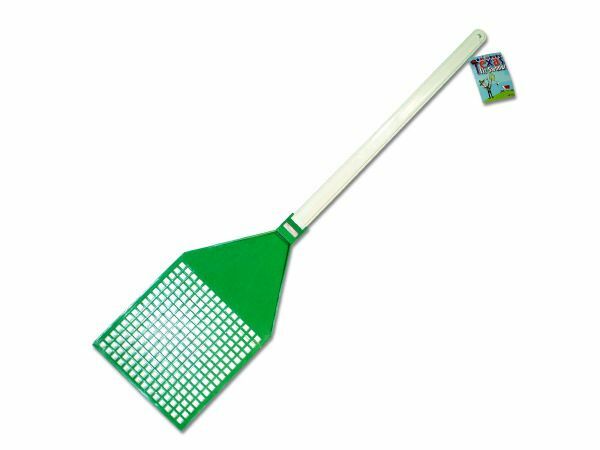 Get rid of pests and bugs in a big way with this Jumbo Texas Fly Swatter featuring a jumbo size swatter made of super flexible plastic. It is sure to bring lots of laughs with its comical size and makes an excellent gag gift. Swat area measures approximately 6.5 x 11 and the entire swatter measures 31 long. Comes packaged with a hang tag.